Alphedia Arara has been working with Archangel Metatron to help light workers on their ascension path and to teach about the spiritual concept called a Walkin. He oversees the spiritual development of souls who are here with an important mission of assisting with humanities conscious elevation towards higher vibrations and awareness. 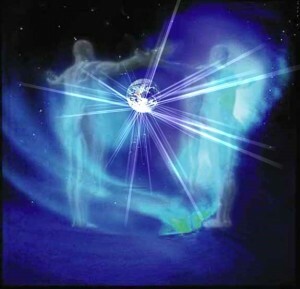 A walkin is when a highly evolved soul takes over the physical body of another soul. Alphedia herself is a walkin and inhabits the body of a person who was born Fiona Murray. Walkins have occurred throughout the ages, but a dramatic increase in walkins have occurred on the earth in the last ten years as more light was required on the planet to help with the 21/12/12 energy portal opening. Many walkins have difficulty adjusting to the new body and also dealing with the karma and characteristics of the old soul. “I have asked for this workshop to be brought forward to assist those souls who acknowledge a Walkin aspect within their self. This workshop is to aid those souls who are feeling confused at this time about living as a Walkin. In this workshop I will answer many questions Walkin’s have and it will be more like a conference with myself. I will take you on guided meditations to help you anchor more fully into the new soul and also de-programme you from the old patterning’s of the previous soul. For when you are birthed physically into reality you take on the karmic conditionings of your ancestral lines and as a Walkin you have chosen this soul’s ancestral line for a reason which will aid you with your own soul growth. However you may also have had to compromise and to take on patterning’s through your ancestral lines that do not serve your soul purpose and in this workshop I am going to remove these from you, to do what I call de-patterning them as they are no longer of service but you will still work through any soul contracts you have with the previous soul and with the ancestral line. It will help you find out what these contracts are and also help you to release them and to heal them. We will do a contract healing meditation and exercise and we will also perform a soul healing to assist those of you who are not yet fully anchored onto planet Earth. I will also assist you in relating to third dimensional reality while holding a fifth dimensional outlook and in meditation I will show you the area of your thought forms and belief patterning’s that are stopping this being an easy transition for you. Some Walk In’s have never been human before, or only human a few times and therefore it is as if you have come with a manual of how to be human and this often is taken literally and I am going to aid you in removing this literal patterning that has been placed upon you, by anchoring you and connecting you deeper to your soul consciousness to find out who you actually are and to reconnect you with who you actually are. This will be a powerful workshop and relatively long and will require integration afterwards. I wish for it to be brought through at the close of 2014 so that when the energies shift into 2015 which will be profound on New Year’s Day. A great shift is to actually occur on the planet and you will be prepared and ready for this. This is what I offer you in this workshop and if your soul resonates you are ready and even if you are drawn to this after the time period of 2014, know that this will work for you also for linear time is not as it appears to you, it is changing, the reality of time is shifting as you increase in your energy vibrations.